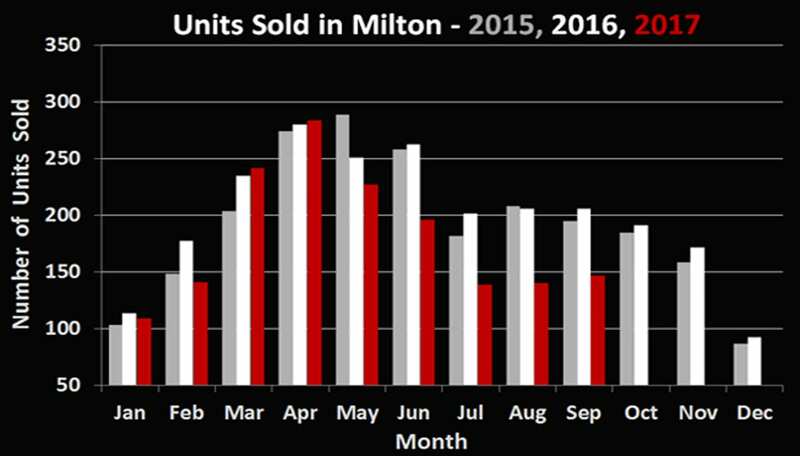 As we have become accustomed to seeing, Milton’s 147 residential sales in September 2017 represent a decrease of 28.6% in volume when compared to the same time last year. The average sale price of $636,600 was up a modest 3.7% year over year. These figures have been the norm since the “fair housing plan” was implemented by the government in the Spring. Late last year, Finance Minister Bill Morneau announced a major shakeup of Canada’s mortgage rules for real estate. This impacted buyers putting less than 20% down on properties, they had to qualify at a rate roughly 2% higher than the posted interest rates. It’s rumoured that the same change may be coming for all buyers regardless of their down payment as a sort of “stress test”. With 2 quick interest rate hikes and more being rumoured, the market has still picked up steam post-Labour Day. 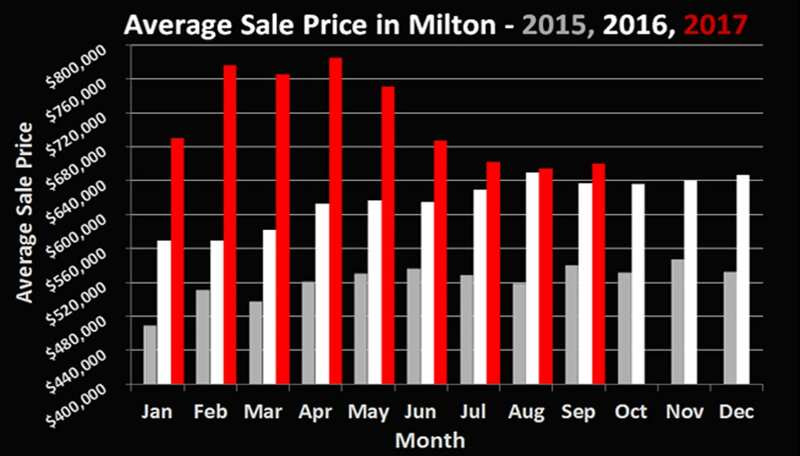 Properties listed in Milton are turning over more frequently, with the occasional multiple offer situation once again being seen. While the change last year had virtually no impact on the market, it will be interesting to see what happens this year should this come into effect. It seems the prime objective of our current government is to strangle the market and make life difficult for buyers. If you have any other questions pertaining to these potential new changes, or anything else real estate related don’t hesitate to call or email. We’re never too busy to chat!